VAStream is a surveillance application that allows you to stream and share live video from your device to any number of users through Video Analytica streaming servers. It can turn your Android or iOS device into smart IP Cams! Our real-time video streaming system can support low latency, high quality, low cost, GPS coordinate reporting real-time video streaming. It automatically adjusts the quality of vide stream based on network conditions and saves data usage while keeping a high quality recorded video on your device. Through Video Analytica application servers you can track the device location as well as view the videos that have been captured in the recent past using the maps interface. 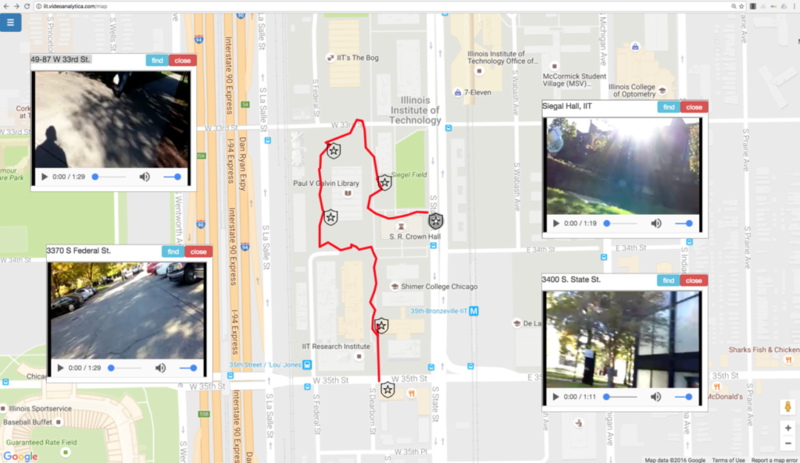 Through Video Anlaytica storage servers https://iit.videoanalytica.com/map, you can search, browse, and retrieve video archives using keywords, video contents, timestamp, and GPS location. Our smart audio and video event recognition technology automatically recognizes user defined events of interests in the stream with high accuracy, and tags + stores the stream with the corresponding events with time and location. It can also send SMS alert to any number that has interest in such event.